Check out our selection of the best cabarets of the French capital. Parisian cabarets with their glitz, luxury and acrobatics are always a big hit. If you’re looking to get your money’s worth, we recommend the following venues. 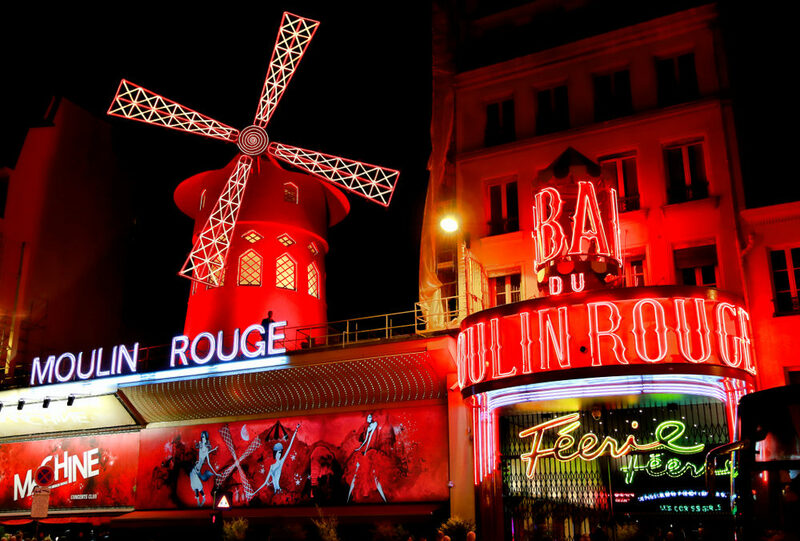 The Moulin Rouge is probably the most famous cabaret in the world. Despite its celebrity, it has maintained its class and continues to offer the most magical and unique shows in the world. Located on the Champs-Elysees, with its panoramic room welcoming over 1000 people every night it’s a mythical place in Paris. It’s a bit pricey, but it’s well worth that once in-a-lifetime experience. A few roads from the Lido, the Crazy Horse is another mythical cabaret of the city of light. Authentic and spectacular, the room has maintained its charm of yesteryear. This is one of the oldest in Paris! The following Parisian cabarets offer dinner-show packages that are ideal for discovering French cuisine while being entertained by quality shows. This cabaret’s shows are themed around the 60s and 80s. The meal is tasty and the show takes us back a few decades. A vintage evening guaranteed! You can enjoy a simple but refined meal, while attending a show combining glitter, dance, magic and humor. Dinner is held in front of a show performed by very talented artists. Unlike the other venues, it is possible to go as a family because the shows are fit for all viewers. Note: it is recommended you book in advance, or risk being denied entry. More intimate than the others, these cabarets have kept last century’s Parisian spirit, offering an off the beaten track experience. This atypical cabaret is located in the working-class district of Belleville. It offers welcoming, family shows in a small cosy venue. Nothing to do with the huge luxurious cabarets of Paris. You can even go to celebrate birthdays. The Nouvelle Eve is a small and intimate cabaret that offers enchanting shows, focused on the smallest details. The room isn’t huge but has the advantage of being warm and comfortable. The Parisian capital has more than its share of cultural and artistic activities. So much so that it’s not always easy to make the right choices. Our receptionists here at Aloha are at your disposal to help you prepare your trip!